ASSET ANGELS TM* are good at selling. House and Commercial Property sales are what we love. We specialise in selling your assets in the most efficient way for you, according to your needs, the situation that you’re in and in the way that you want. We have lots of ways to get property sales done quickly, quietly, efficiently or publicly. We’ve got wholesale buyers of properties, private developers and wealthy individuals who like to keep their money in bricks-and-mortar. We work with them a lot. Our High Net Worth portfolio of private developers and wholesale property buyers are combined with public auction options to realise funds quickly, whilst listings on the most-viewed property websites can maximise price for individuals via our excellent partnership with Right Move. Property sales can also be an excellent way to provide the money you need to grow and transform your business, your work-life balance or your strategic direction. We’re seeing it happen a lot. We provide full property sales services using our own team, which even includes all the old-school laser-measured, brochure, signs and sales viewings that you’d expect. We provide the Conveyancing in-house too and even send you flowers on the day of the sale. We genuinely love doing that. Sometimes you just want to sell. Your shares, your IP, your rights, your Company assets. You need to explore the market and achieve the best outcome for the circumstances you find yourself in. Maybe you want to sell discreetly, maybe you want a highly publicised bidding war, perhaps you want to maximise your payout, retire and sail your yacht around the Caribbean. Excellent. Maybe you have other issues and you need it done fast to get the money in quickly. It happens. You may want to sell your Company to shares to partners, stakeholders or Investors, or you may even want to discreetly negotiate the sale of Company Assets to your current competition. Somebody not extremely wise once said ‘there’s not many problems that more sales can’t solve’. A bit simplistic, but not entirely daft either. We might become your best customer. We sell millions of pounds worth of products across the world and we can make it really easy for you. You give us the price you want to sell at and – if we like it – we’ll come and buy some. We’ve done that for over a decade. If we work with you, we really like to Export. We’ve been in Export for 20 years now. We’ve sold tens of millions of Pounds, Euros and Dollars – and quite a few Roubles and Renmimbi too – of products and services into more than 40 countries and across a wide variety of different business sectors. We speak lots of languages and we deal with people on their own terms, in their own country and in line with their own norms and values. We fall in love a little with every new place, develop genuine feeling and understanding for each market and grow deep roots that translate into strong commercial bonds. We’ve got European depots, Customs specialists, multi-currency facilities, trading platforms, joint venture operations, partnerships and we’ve worked with thousands of retail outlets. We can sell for you, sell with you, buy from you, show you how to do it yourself or help you tweak what you already do to make it better. Not sure you’ll find anyone better at that. The market is changing. You need someone to help you make sense of these changes and how they affect your business, how they affect your competition, your staff and your future. How they affect you too. Analysing the way the market is moving and your place in it helps contextualise fears and offers an insight into the future direction you can take. Moving the business forward, providing growth plans, routemaps and frameworks is refreshing and necessary for growing your revenues, your profits, your capabilities or your own approach to your business are all valuable and revitalising. Running a business can be a lonely place. A phrase we like is ‘going on the journey’. Growth sometimes just needs a sharp, fresh pair of eyes and someone to take the time to understand your business the way you do. We look forward to that. We’ve been to the puppet show and seen the strings. We’ve run multi-million pound businesses and had successes and failures. Sometimes it all gets out of hand and the wolves are at the door. We have the experts and contacts necessary to give you the best chance to get out of your difficult situation. We won’t judge, we’ve probably seen it before and we’ve probably seen worse. It may be that you need specific technical support so we have forensic accountants, Contract Lawyers, strong relationships with banks, we provide Conveyancing, Insolvency Practitioners, public and private asset sales, both discreet and highly publicised property sales and auction options. We can do all that too. We can provide you with all of the services you need to rescue you from difficult circumstances, all under one joined-up, understanding, intelligent umbrella. You don’t need to tell the painful story to ten different people, professionals or Companies, we do not have an agenda as to whether you need Legal advice, to sell an asset, restructuring, Financial assistance, growth and de-growth analysis or simply somebody to listen to your issues and offer some guidance and possible ways forward or out. We will help you find a better place. Sometimes you get stuck in a routine, doing the same things that you always did. You find yourself in a difficult situation because of it. You need some gentle help. You know that change is needed, you even want to change, you just need someone who understands you, makes an effort and takes time to understand your situation, understands business and the problems and pressures it brings. We will work with you to help you understand what you often already know. To find pathways that you knew were there, to take the brave step to go somewhere new, change direction, embrace new challenges and opportunities. We’ll go on that journey with you and we’ll be there until you no longer need us. That will be a proud day for us all. Our experience has shown us that people and Companies often want to understand the legal rights-and-wrongs of the situation they find themselves in, but don’t actually want to resort to law if they can help it. For that you need honest, decent people who take time to understand you and your needs in the context of all the other private, public and commercial things you are dealing with. The chance to go through all the legal options and then getting a reassuring holistic view of your entire position, in context of all the other areas and problems that we might be working on together, and taking a broader view that ideally helps you avoid the legal route and finds a better commercial solution. Don’t get excited because we don’t do it often, but sometimes we see something in a business. Perhaps we’ve worked with you to turn a situation around and we trust you, we see your vision and we want to invest to help you realise it. We might even do that. We like to get paid on results. 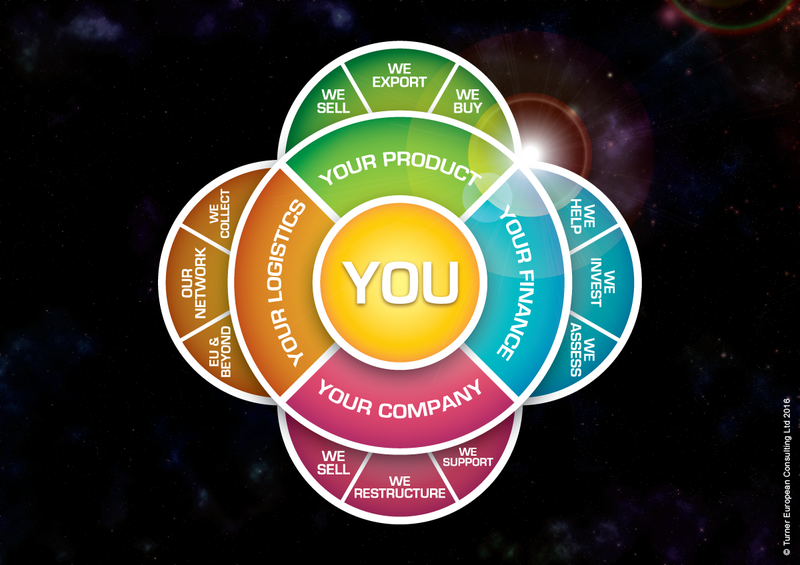 When you succeed, recover, grow, export, develop or sell you’ll pay us a percentage of that. We like it that way because our clients are always happy to pay us. They think we deserve it for helping them, maybe when others wouldn’t or couldn’t. Life is better with an Angel on your side.